Launched this year, In Development KIDS was a dedicated strand for the children’s content community at MIPTV. The track featured pitches for kids’ live action and preschool animation, trends and insights, a co-production breakfast, masterclasses and sessions with leading kids’ programmers. In association with the International Academy of Television Arts & Sciences, MIPTV also played host to the seventh annual International Emmy Kids Awards, for which TV Kids is a presenting partner. Seven winners were announced from five different countries: the U.K.’s Hey Duggee for preschool, My Life: Born To Vlog for factual and Ratburger for TV movie/miniseries; the Netherlands’ Kop op (Heads Together) for animation; Norway’s Overgrep (Sexual Abuse Awareness Week) for digital; Sweden’s Fixa Bröllopet (Marrying Mum and Dad) for non-scripted entertainment; and Brazil’s Malhação: Viva a Diferença (Young Hearts) for best series. Ahead of the International Emmy Kids Awards, World Screen’s Anna Carugati presented the nominees at a session at In Development KIDS and talked trends with Serious Lunch CEO Genevieve Dexter. Serious Lunch’s catalog boasts previous International Emmy Kids Award winner Ronja, the Robber’s Daughter and nominee Operation Ouch! Deal activity announced during the week included both traditional linear and digital players. 9 Story Distribution International secured a range of new international deals for the International Emmy Kids Award nominee Luo Bao Bei, including a second window on Netflix. Cyber Group Studios signed a deal with Discovery Kids in Latin America for its new animated series Sadie Sparks. Atlantyca Entertainment licensed three seasons of the live-action teen drama series Dance Academy to Rai. Viacom International Studios’ MIPTV sales activity included TF1 taking the preschool show Abby Hatcher. Konami Cross Media NY’s Yu-Gi-Oh! VRAINS secured slots on 9Go! 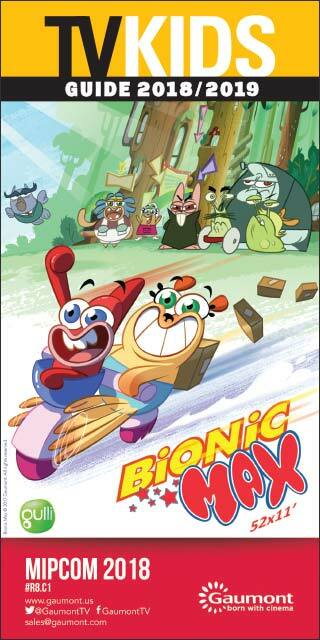 in Australia, K2 in Italy and Teletoon in Canada. Partnerships remain key to the production and distribution of kids’ content, with news last week of Cyber Group Studios and YoBoHo joining forces to co-produce and distribute original content aimed at toddlers and preschoolers across digital and traditional media outlets; CAKE and TT Productions teaming up on Treasure Trekkers; and DQ Entertainment signing a co-production agreement with Red Square Media Group for a new feature film and series. Catch up on these stories and more on TVKids.ws, and read our recaps of formats, drama and factual news from MIPTV. 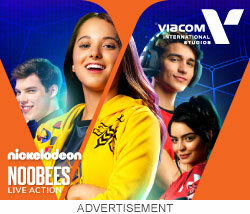 Want to know what kids' broadcasters are paying for acquisitions? TV Kids’ Program Price Guide features average pricing for preschool animation and live action, kids 6-to-11 animation and live action, and tween programming. Price Ranges: The high and low prices for a broad range of kids' genres. World Screen also offers Program Price Guides for scripted programming and factual programming. The Kids Program Price Guide is available for $169, and all three reports are available to download for a special introductory price of $389. This email was sent to you by World Screen. To ensure that it is not labeled as spam, please add tvkids@worldscreen.com to your address book. If you would like to unsubscribe from TV Kids Weekly, please go here. If you were forwarded TV Kids Weekly and want your own copy, or would like to sign up for any of our other newsletters, please click here. For other subscription questions, please contact Dana Mattison. 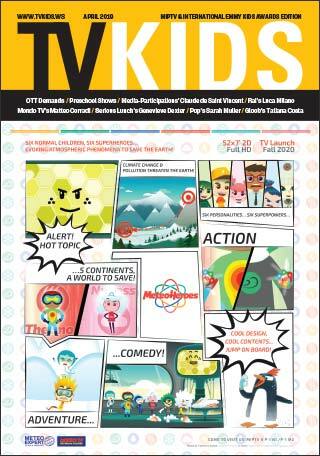 TV Kids Weekly is a World Screen publication. No part of TV Kids Weekly can be used, reprinted, copied or stored in any medium without the publisher's authorization.